I would LOVE to help you transform your life. I’m passionate about helping people change their lifestyle in order to improve their health. 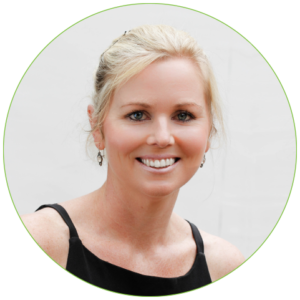 I don’t only assist clients with weight loss but also with various medical conditions. After having kids I realised how many parents struggle to get their children to eat healthy foods. 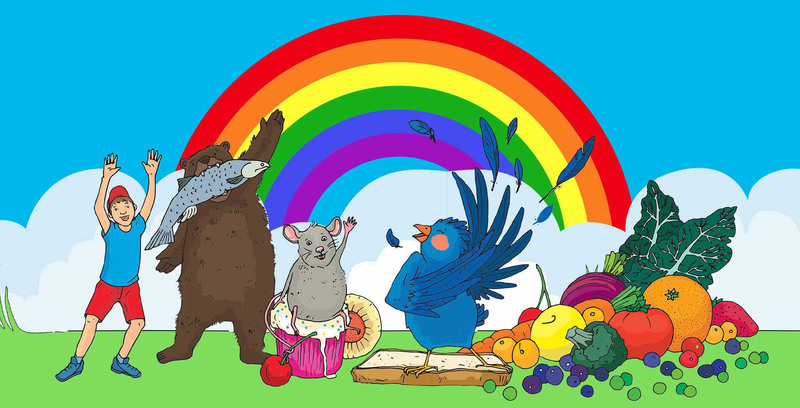 I have written a series of children’s nutritional storybooks to help educate children on why they need to eat more healthy foods and less of the unhealthy junk. 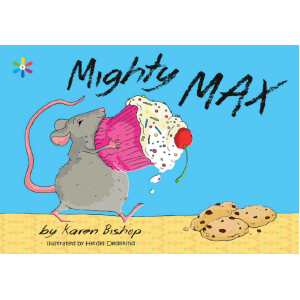 These books are rhyming and boldly illustrated. They are gripping tales that will have your kids wide-eyed, laughing out loud and ready to sample something new on their plates. 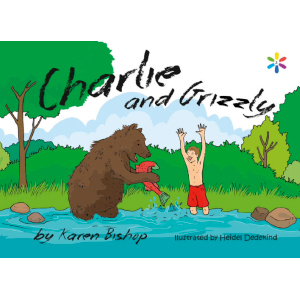 Meet Charlie and his friends Grizzly, Mighty Max and Fussy Flip! 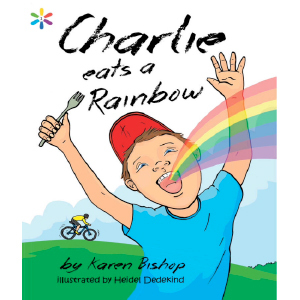 Learn about healthy eating in a fun and entertaining way. Note that this applies to all purchases made on Karen Bishop’s Website (www.karenbishop.co.za). • www.karenbishop.co.za is owned and operated by Karen Bishop dietician PR NO 0081247. • Visitors to karenbishop.co.za including those Users who purchase any products on karenbishop.co.za (“Purchasers”) are bound by these terms and conditions (“T&C’s”). Age restrictions You must ensure that you and/or the person for whom you may be buying a product on the Website, meet any age restrictions applicable to such products ordered by you on the Website and that these restrictions are observed. For example, if you make a Website purchase of books for a child or for a friend, the onus is on you to ensure that the book is suitable for their age. Karen Bishop will not be held liable in this regard. Should you not be satisfied with any book purchased by you on the Website because of a damaged, defective and incorrectly supplied product you may, under certain circumstances, be entitled to either a refund or replacement. Our Refund Policy regulates your rights in this regard, and how products are to be returned to us. DISCLAIMER Karen Bishop will not be liable for any damage, loss or liability of whatsoever nature arising from the use or inability to use the Website or the services or content provided from and through this Website. Furthermore, Karen Bishop makes no representations or warranties, implied or otherwise, that, amongst others, the content and technology available from this Website are free from errors or omissions or that the service will be 100% uninterrupted and error free. Please report any possible malfunctions and errors you come across by e-mail to: karenbishop@saol.com Although some of the books sold via the Website may be under warranty, the Website itself is supplied on an “as is” basis and has not been compiled or supplied to meet your individual requirements. It is your sole responsibility to satisfy yourself prior to accepting these T&C’s that the service available from and through this Website will meet your individual requirements and be compatible with your hardware and/or software. This Website is hosted, controlled and operated from the Republic of South Africa and therefore governed by South African law and, subject to the ‘Disputes’ clause of these T&C, you and Karen Bishop submit to the non-exclusive jurisdiction of the South African courts. SECURITY Please do not deliver or attempt to deliver any damaging code to this Website or attempt to gain unauthorised access to any page on this Website. Any persons caught attempting to sabotage this website shall be prosecuted and civil damages shall be claimed in the event that Karen Bishop suffers any damage or loss. Karen Bishop will take all reasonable steps to ensure the integrity and security of the Website and back-office applications. All credit card transactions are Secure Socket Layers encrypted. Please see www.paygate.co.za for more information. TERM AND TERMINATION These T&C’S shall commence from the date on which they are published on the Website and continue indefinitely, as amended by Karen Bishop from time to time for so long as the Website exists and is operational, Karen Bishop being entitled to terminate these T&C and/or shut down the Website at any time (subject to still processing any orders then already placed and accepted by Karen Bishop). COPYRIGHT AND OTHER INTELLECTUAL PROPERTY RIGHTS Any and all copyright subsisting in the Website, vests in Karen Bishop and all rights not expressly granted are reserved. You may only download, view and print content from this Website for private and non-commercial purposes. To obtain permissions for the commercial use of any content on this Website e-mail Karen Bishop at karenbishop@saol.com . Karen Bishop cannot screen or edit all the content available from the Website and Karen Bishop will not accept any liability for illegal, defamatory or obscene content. Please inform Karen Bishop of any content that may be offensive or illegal. All the content, trademarks and data on this Website, including but not limited to, software, databases, text, graphics, icons, hyperlinks, private information, designs and agreements, are the property of or licensed to Karen Bishop and as such are protected from infringement by local and international legislation and treaties. ELECTRONIC COMMUNICATIONS When you visit the Website or send e-mails to Karen Bishop, you consent to receiving communications from Karen Bishop electronically and agree that all agreements, notices, disclosures and other communications sent by Karen Bishop satisfy any legal requirements, including but not limited to the requirement that such communications should be “in writing”. HYPERLINKS, FRAMING, SPIDERS & CRAWLERS Hyperlinks provided on this Website are provided as is and Karen Bishop does not necessarily agree with, edit or sponsor the content on such web pages. No person, business or web site may frame this site or any of the pages on this Website in any way whatsoever. No person, business or web site may use any technology to search and gain any information from this Website without the prior written permission of Karen Bishop. INFORMATION The ECT Act states that when goods or services are offered by way of certain electronic transactions, the seller thereof must make certain information about it available to customers on websites where the goods or services are offered. Karen Bishop information is as follows: Full name: Karen Bishop Dietician (registered in South African )Main business: Dietician in private practice and Online retailer Address for receipt of legal service: Kloof Medical Centre, 12 Lyngarth rd, Kloof, 3610, Republic of South Africa Office bearer: Karen Bishop Webmaster: Tim Churchman www.thecreativeco.net Website: http://www.karenbishop.co.za Official email address: karenbishop@saol.com PROATIA: The manual is published in terms of section 51 of the Promotion of Access to Information Act No 2 of 2000 can be downloaded here: www.info.gov.za/view/DownloadFileAction?id=68186Code of Conduct: not applicable Purchases from www.karenbishop.co.za . • By karenbishop.co.za: karenbishop.co.za reserves the right to refuse to accept or process payment on any order, and/or to cancel any sale concluded between yourself and Karen Bishop, in whole or in part, on notice to you. Karen Bishop shall only be liable to refund monies already paid by you and accepts no other liability which may arise as a result of such refusal to process any order/sale. • By You: Save for certain exceptions and subject to certain charges you are entitled to cancel any sale concluded on this Website within 7 days after date of receipt of the goods and to obtain a refund. You may also cancel a sale where delivery is delayed beyond the stipulated delivery date (or if no delivery date is specified, beyond 30 days from the order date). Please read the Refund Policy for further details. Amounts payable by You PRICES The price of each book is displayed with the book listing. In the event of a sale or special offer, the discounted price is displayed. 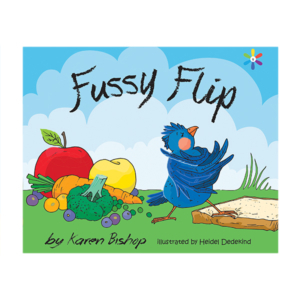 Karen Bishop uses Fastway Courier Services for the delivery of her online books within the borders of South Africa. Each courier satchel costs R45. The satchels can fit between 1 and 3 books per satchel. Delivery areas include: Durban, Richards Bay, Pietermaritzburg, Port Shepstone, Wild coast, East London, Port Elizabeth, Plettenberg Bay, George, Mossel Bay, Stellenbosch, Paarl, Cape Town, Harrismith, Bloemfontein,Vaal, Ranfontein, Westonaria, Klerksdorp, Johannesburg, Pretoria, Rustenberg, Witbank, Nelspruit, Polokwane. Deliveries will take between 1-3days depending on the area. ERRORS Karen Bsihop shall take all reasonable efforts to accurately indicate prices and delivery charges. However, should products be erroneously offered at incorrect prices and/or delivery charges, Karen Bishop will not be obliged to sell products at such incorrect prices and/or delivery charges, but shall refund monies paid by you should you not wish to proceed with the purchase at the correct price and/or delivery charge. • Pre-order products: Books advertised and displayed as being on pre-order (in that they can be ordered in advance of their public release date) can only be paid for by credit/debit card. • Please treat products and packaging with due care. Karen Bishop may have to hold you liable for any damage you cause to a product (including its packaging) while in your possession.